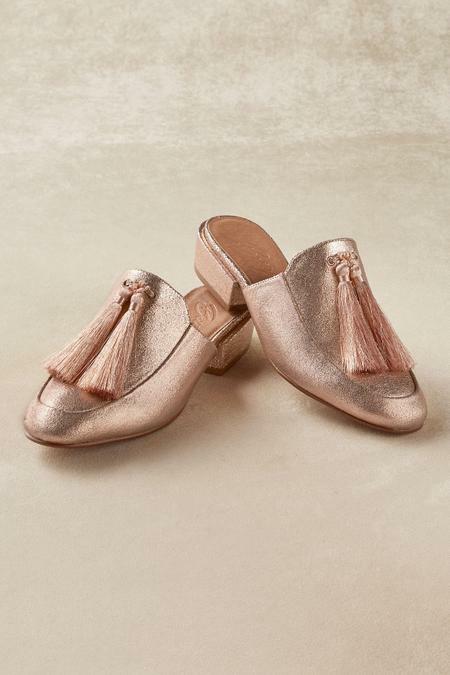 Casual slides never looked so glamorous, thanks to shimmery suede and luxuriant tassels that swing as you stride. Styled with a synthetic lining and sole, you'll find so many occasions and places to wear these eye-catching yet so comfy shoes. 1-1/2" heel. Whole and half sizes 6-10, 11.